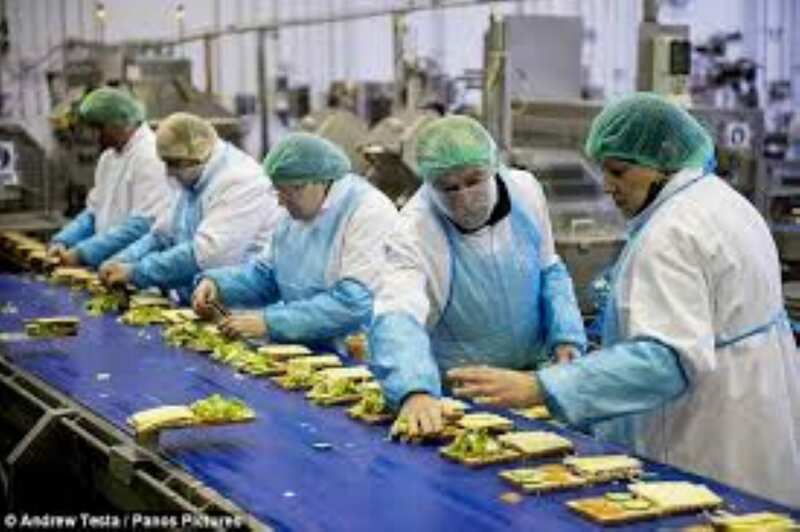 Home » Comments » cookery » Countries » Featured Articles » Worldwide Sandwiches, Baguettes & Rolls. 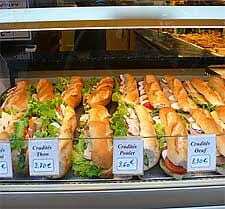 Worldwide Sandwiches, Baguettes & Rolls. 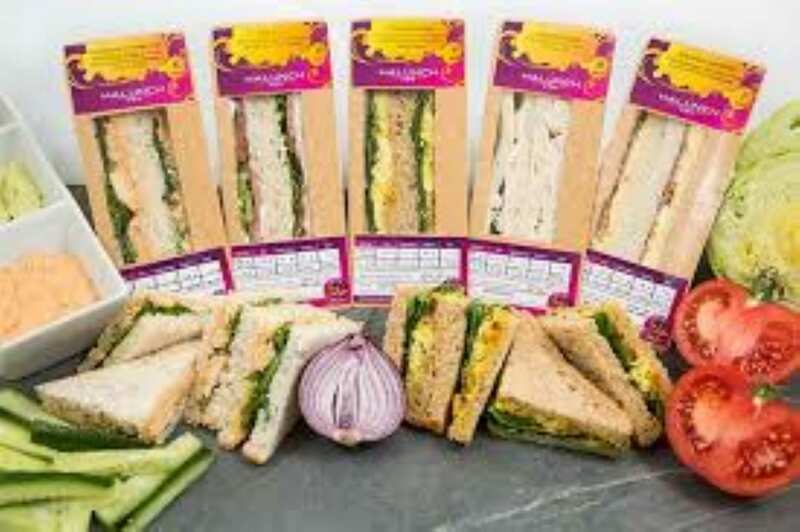 Unlike our British plastic, commercial, or basic choices of sandwich or rolls, the rest of the world has a great choice of bread and fillings. 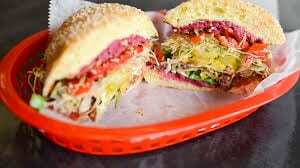 New York has some great delis, serving a huge choice of traditional sandwiches. As far as I can make out, most of them have a Jewish origin, and there is a huge Jewish community there. I’ve altered some of their recipes for various reasons. But I think it’s a pretty good collection. There’s something here to please everyone. 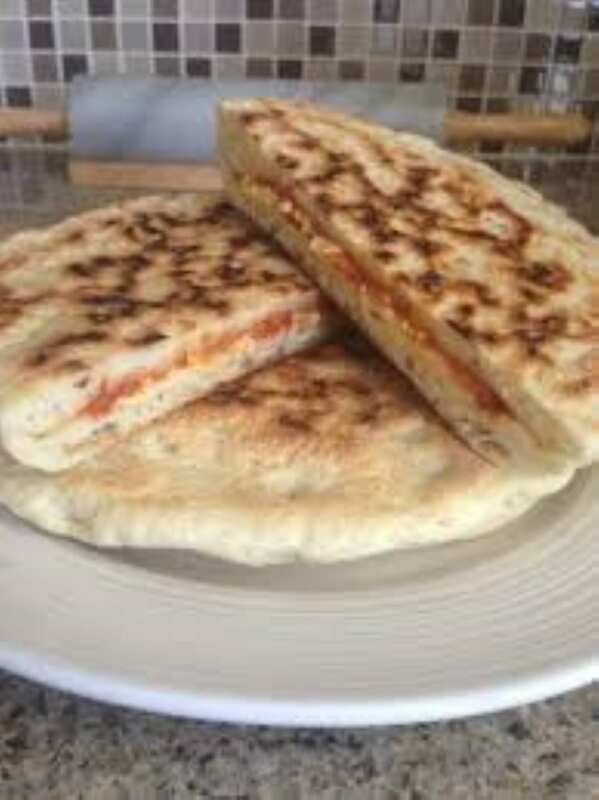 Of course you can vary the type of bread that you use. Sandwiches can be rolls, and vice-versa. Instead of Marie Rose sauce or Thousand Island, you can mix a tsp of tomato ketchup and mayonnaise together. Stir well, taste it and adjust until you like it. They’re not just sandwiches; they’re main meals. Just add a salad or some chips, or a bag of crisps New York style. And there are some from other countries, like the Maltese Ftira and the Tunisian Mtabga. Do try a few, experiment and add your own variations. These are prepared, then toasted. They can also be baked in the oven. If preferred, they can just be eaten as untoasted sandwiches. AVOCADO & BEEF with lettuce, tomato, horseradish & mayonnaise. AVOCADO & PRAWNS with tomato, cucumber & Marie Rose sauce. BROADWAY Turkey, mozzarella, beansprouts, sun-dried tomato & mayo. CALIFORNIA Chicken, roasted pepper, avocado, lettuce, tomato & French Dressing. COPENHAGEN Turkey, Edam cheese, coleslaw & Thousand Island dressing. CORDON BLEU Chicken, ham, Cheddar cheese and pickled vegetables. 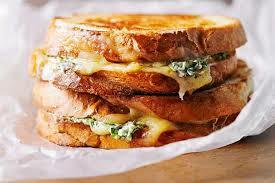 CROQUE MONSIEUR Toasted ham & Cheddar cheese. DELIGHTFUL Turkey, Cheddar cheese, coleslaw & mustard. GEORGE WASHINGTON Ham, Cheddar cheese, lettuce, tomato & mustard. HAMAMAH Beef, avocado, fried onions, pickles, mayo & mustard. KENTUCKY DERBY Ham, turkey, Cheddar cheese & 1000 Island dressing. MILANO Ham, salami, mozzarella, lettuce, tomato, oil & vinegar. MONTE CRISTO Turkey, ham, cheese & 1000 Island dressing. NEW YORKER Beef, Cheddar cheese, sauerkraut & honey mustard. OLD GLORY Ham, mozzarella, tomato & Thousand Island dressing. PARMA Ham, mozzarella, tomato, lettuce, sun-dried tomato, oil & vinegar. ROBIN HOOD Ham, Cheddar cheese & roast peppers. ROME EXPRESS Ham, pepperoni, Cheddar cheese, onion, lettuce, tomato, oil & vinegar. ROOSEVELT Mozzarella, sun-dried tomato & pesto. SANTA FE Chicken, Cheddar cheese, avocado, lettuce, tomato & roast peppers. SPEEDY GONZALES Turkey, Cheddar cheese, avocado, lettuce, tomato & mustard or Thousand Island dressing. TRUMAN Chicken, mozzarella & pesto. TUNA MELT Tuna, Cheddar cheese & tomato. TUSCAN Mozzarella, sun-dried tomato, lettuce, tomato & mayo. AMERICAN HERO Ham, turkey, beef, Cheddar cheese, lettuce, tomato & mayonnaise. CORNISH Beef, cooked potato & onion. CUBAN Pork, ham, Cheddar cheese, pickles & mustard. GODFATHER Ham, pepperoni, beef, mozzarella, roasted peppers, lettuce, tomato & oregano. GIUILIANI Chicken, bacon, mozzarella, lettuce, tomato, mayonnaise & pesto. INDIAN Beef, potato, baked beans, onion, peas, curry, mango chutney. ITALIAN COMBO Ham, pepperoni, salami, Cheddar cheese, roasted peppers, lettuce, tomato, oil & vinegar. MEXICAN Chicken, cheddar cheese, tomatoes, onions, chilli & salsa. MUSSOLINI’S REVENGE Ham, salami, pepperoni, Cheddar cheese, lettuce, tomato & mayonnaise. PAN BAGNA A French favourite. Tuna, anchovies, lettuce, tomato, cucumber, onion, garlic & French dressing. (Cold). TEXAS Beef, mozzarella, lettuce, tomato, garlic & BBQ sauce.